Two important Marlborough firms have announced they will be merging from October 1 to create one of the largest firms in the region. Wain & Naysmith Lawyers and Crichton Loach Lawyers are set to join forces, and the name of the merged firm will remain as Wain & Naysmith. The move will also see the firm have a majority proportion of women in senior roles, with five of the seven senior lawyers being female. 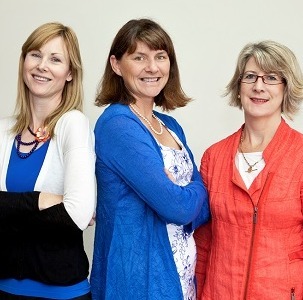 NZ Lawyer spoke to three of the women involved in the merger about the benefits of the move and future plans. Wain & Naysmith’s Audrey Seaton says she and her fellow directors, Alan Naysmith and Marty Wilson are delighted to welcome the new team on board. Seaton says expanding the legal team means the firm can specialise further and have more support across the broad spectrum of legal advice. In fact, she herself merged her own firm Townshend Seaton with Wain & Naysmith in 2011 after the other partner-owner, Andrew Townshend, retired. The newly merged firm will now have 21 staff, including three directors, two consultants and two associates. Wain & Naysmith has just introduced completely new practise management system software which they are now working on streamlining across the business, Seaton says. And the firm is also busy renovating its premises in the historic Parsonage Chambers in preparation for the new arrivals. The building is a 103-year old homestead that was the original parsonage for the Methodist church. Chrichton Loach partners Libby Lockhart and Marianne Startup are looking forward to the merge with Wain & Naysmith, which they believe will make the firm the second largest in the region. But the merger also means that the new team will now buck trends within the profession by having a vast female majority in the senior roles. The women admit this happened “more by accident than design”, but say the roots of Chrichton Loach were completely female-focused. Times have certainly changed, she says, remembering that 20 years ago there wasn’t a single female in a senior legal role in Blenheim to be seen. All involved think the bigger and newly renovated firm can only hold good things for the future and the legal offering in the South. “You’ve got collegial support, wider knowledge and wider skill base, and it’s easier to get access to resources,” Lockhart says. by Wel 22/08/2014 11:46:50 a.m.
by Ron Pol 28/08/2014 2:26:28 p.m. Interesting to see the high proportion of women in CL started because of the need for flexibility around childcare; traditionally an initial driver. With many Gen Ys (and fascinatingly, flowing through to some Gen X and older partners) also seeking flexibility in modern times, it would be great to see if and how the merged firm continues the concept; whether its a mainly 'women with kids' or 'lifestyle' thing, or whether and how it enables flexibility more broadly. In any event, best wishes with the merger and the capability to deliver more value to clients.